Another day, another random rumor about our favorite royals. 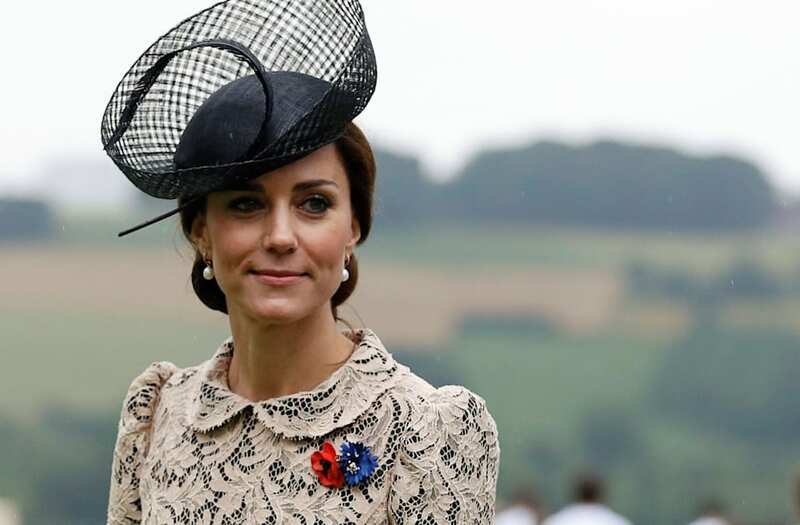 Today, word on the street is that Duchess Kate Middleton loves Nutella -- but not necessarily to eat. According to The Sun, royal beauty guru Deborah Mitchell appeared on ITV's "This Morning"discussing the Nutella hack and revealed, "Now I've actually used this at home, and I've actually used this on some of my clients – not naming any names!" She went on to say that the client in question has "really good skin" -- so naturally, everyone is assuming that she was referring to Kate. To be fair, the woman does glow. The Duchess of Cambridge started her year of fashion with a Michael Kors suit in Sandringham on January 10th. Kate attended a service to mark the 75th Anniversary of the RAF Air Cadets recycling her blue Alexander McQueen coat that we first saw on her 2014 Australia tour. The Duchess was Guest Editor of the Huffington Post for a day, looking lovely in separates. Kate attended a reception during a visit to RAF Valley in Anglesey, North Wales in February, re-wearing her red L.K. Bennett coat. Kate looked gorgeous in green in Edinburgh, Scotland, wearing an emerald green MaxMara coat. The Duke and Duchess enjoyed a short skiing break in March, posing for pictures in their ski gear. They adorably played with their kids in the snow -- and Kate even threw a snowball at William! -- the Duchess wearing a ski jacket by E+O. It was their first vacation as a family of four. The Duke and Duchess visited St Thomas' Hospital in March, with Kate choosing to wear her vibrant green Erdem coat again. Kate laughs while chatting with volunteers, wearing a pretty bird-patterned Jonathan Saunders dress. The Duchess made a statement in this very Jackie O inspired suit by Eponine London. Kate attended the Commonwealth Observance Day Service to celebrate the Queen's 90th birthday, wearing a lace-trimmed coat by Erdem. Don't be so quick to stock your beauty collection with the spread, though. Gary Goldenberg, M.D., medical director of the Dermatology Faculty Practice at the Icahn School of Medicine at Mount Sinai told Women's Health that he has some concerns about the practice. "Although hazelnut is a good source of vitamin E and antioxidants, I wouldn't recommend Nutella as a way to slop it on to your skin," he advised. Apparently, it could clog more than it could clear. No thanks! Until we hear the questionable skin advice from the duchess herself, we're remaining skeptical -- and even then, we'd rather stick to indulging in Nutella on bread (and spoons! ).